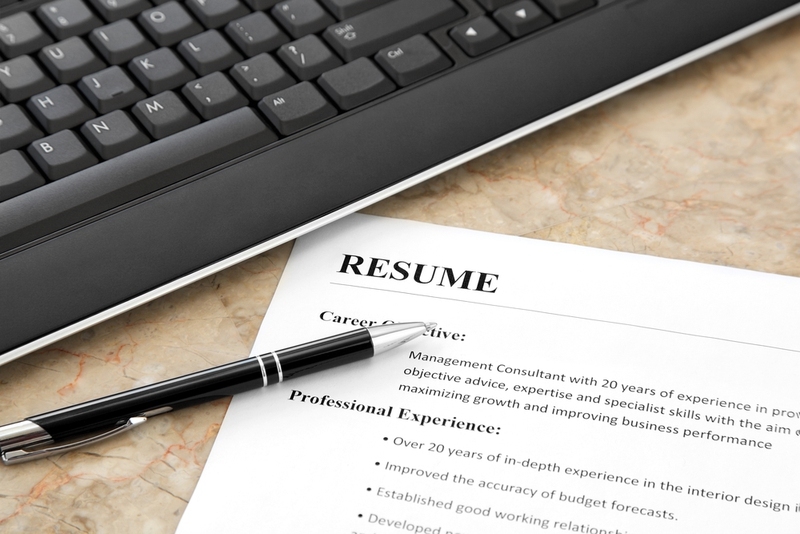 Do You Need an Entry Level Resume Objective? When you’re preparing for your fist job in a new field, a lot of preparation is required. Spending time writing a great resume will give you an edge over your competition who is trying to get the same job. An entry level resume objective can be an essential part in your entry level resume; more importantly, it will help recruiters know your career target or goal. You should only include an entry level resume objective if it is specific to the kind of position you are applying for and is the right timing. Something that is targeted and helpful, for example, could go like this, “Focusing on internship roles in the area of social media marketing for the spring of 2015”. However, a statement such as “Seeking a role in a reputable company where I could put my educational background to use in a dynamic environment” is too generic and not a very good use of space. Often, all that is seen is the top third of your resume if it is opened on a mobile device, so make sure you use this space wisely. For now, skip the entry level resume objective altogether if you do not have one in mind that is specific and leave room for other details that are more important. First choose a suitable format. If you have more than one qualification to say, then why not make list? Focus on the keyword. Go back to each job description and find out the keywords or key points on it. Try to add details for those key requirements, especially your achievements in numerical facts. Search for your related experience. Although your are in an entry level, you need to search for all possible experience that may be helpful in internships, part time jobs, extra-curricular activities, volunteer work and summer work. Pick your strongest points. Pick the most competitive ones and mention it on your resume objective. Describe your accomplishments and skills with powerful action verbs. Be closely related to the job description. Always keep in mind that your resume objective is closely related to the job description, and grab the recruiter's attention by using strong verbs and actionable phrases. Check for any errors. After you finished writing, go over to check for any errors with grammar, format and spelling. Phrases which are actionable should have strong verbs. To get a position as a police officer with the Vancouver police department. Create a safe environment for a community by acknowledging crime prevention protocols' knowledge, law-and-order implementation and general patrolling capability. Desiring a starting position in hospitality industry, where my hard work ethic, strong communication skills and strong customer service orientation can help in the operation running efficiently. My enthusiasm for this industry and part-time work that is related will add to the belief that I can add a real value to your business. Adaptable and energetic, I’m a team player who is will always do what it takes to go the extra mile. Looking for a starting position in marketing where I can use my strong problem solving and analysis skills. Summer work experience in advertising and a marketing degree will provide a solid starting point on which my marketing experience can be built and add to your company. A results-orientated and enthusiastic individual with a work ethic that is very strong; I am completely committed to showing you that I will be a valued employee. To obtain employment with an institution or company that offers me a consistent positive atmosphere so I can learn and implement technologies that are new to improve the performance of the organization. To work with a company that gives me a positive and stable atmosphere to work and will inspire me to improve my skills in the industry of XYZ. Aiming for an IT position in a top organization that can use the qualifications from the education that I received at ABC University. Include the strong aspects to your entry level resume objective: adapting to a new work environment, gaining new skills easily and the ability to learn quickly, showing your motivation for learning new things. Compose a resume objective line which suggests you’ll get in on the ground floor and then remain with the new employer for a long time.